Click here to read about the fossil sites in the Basin. 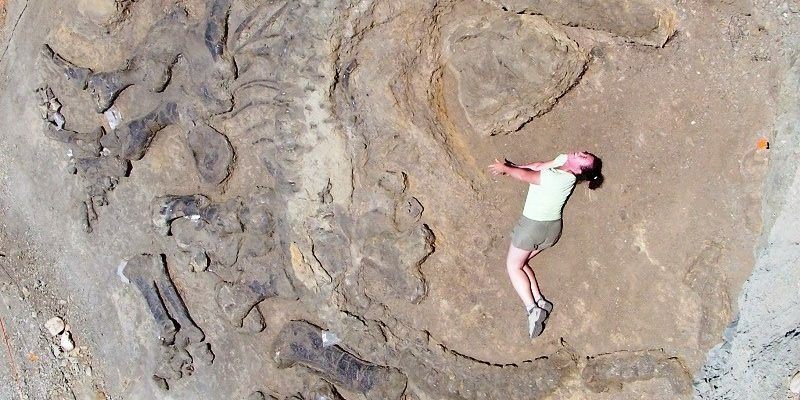 Click here to read about the dinosaur tracksites in the Basin. 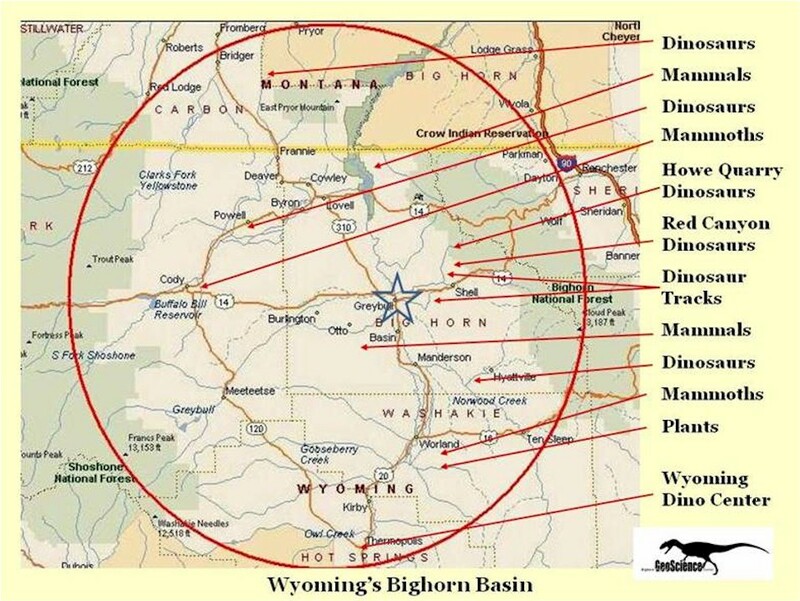 Our location, the Shell Valley of Northern Wyoming area, is ideally located about halfway between the Black Hills of South Dakota and Yellowstone National Park. The community of Shell is just three miles from the east entrance to Shell Canyon and the magnificent Big Horn Mountains, about an hour drive from Cody, Wyoming, and a two hour drive through the “most beautiful 50 miles in America” to the east entrance of Yellowstone National Park. Today’s visitors appreciate the varied terrain afforded by our proximity to great geological and paleontological features such as the world famous Howe Dinosaur Quarry, the Red Canyon Ranch Dinosaur Quarry, Dana Dinosaur Quarry, Red Gulch Dinosaur Tracksite, Sheep Mountain Anticline, Devil’s Kitchen, and the western foothills of the majestic Big Horn Mountain. This area also remains one of the last vestiges of true cowboy country, where cowboys, horses, and ranch living remain a way of life. Today’s visitors to the area can choose from a variety of accommodations and activities to fit any budget, including RV campgrounds, bed & breakfasts, and modern guest ranches. For additional information, check out the Greybull Chamber of Commerce website at www.greybull.com.